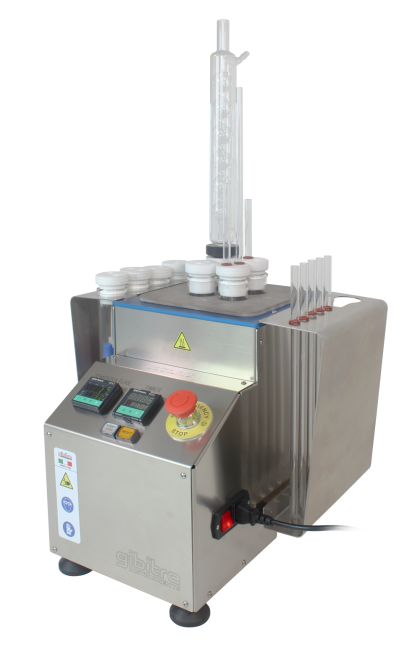 Thermal regulated Block for the performance of aging tests in air and in liquids of elastomeric materials at temperatures up to 250°C conforming to ISO 188, 1817 ASTM D 471 and 865 Standards. - Percentage variation of mass and volume. Gibitre, in addition to providing this tool to perform accelerated aging in air or in liquid, also provides the tools to measure changes in the properties of the article and to produce the related reports. The instrument is equipped with a timer that can be set between 0 and 99 hours and 59 minutes. The instrument automatically stops at the end of the set test time. 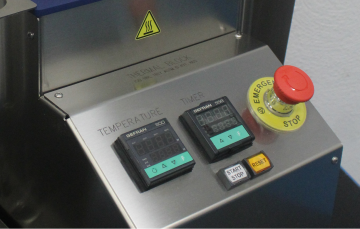 The Timer allows you to activate aging cycles by ending the test automatically in the absence of the operator. 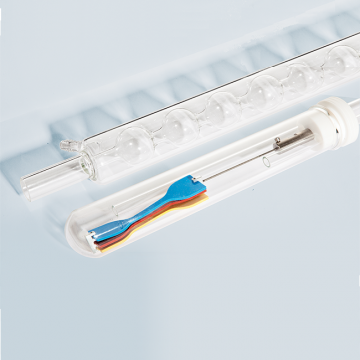 4 glass tubes with a diameter of 38 mm and a length of 300 mm can be inserted into the instrument. The specimens can be inserted into the glass tubes and locked using the fasteners provided. 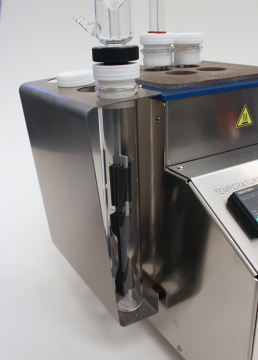 Fixing devices allow the specimens to be placed in order to avoid contact with the glass tube walls. 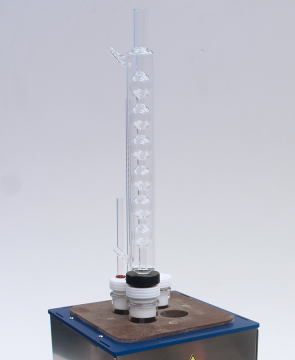 For aging tests in volatile liquids it is necessary to use condensation columns connected to a water supply. 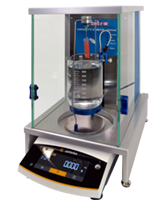 The condensation columns allow to condense the volatile part of the test liquid and make it fall back into the tube. In this way, the amount and formulation of the liquid in the glasses will remain unchanged. 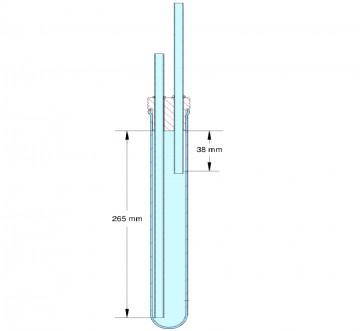 A condensation column can be applied to each test tube. Together with the instrument are supplied two side supports for housing the glass tubes not in use. The supports can be removed to reduce the overall dimensions of the instrument. 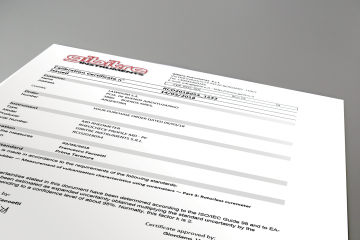 The calibration is performed with reference to the requirements of ISO 1817 standard. 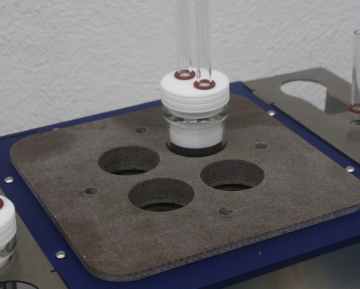 • Calibration of the temperature inside the testing tubes (at 70°C, 150°C, 200°C, 250°C). 220 VAC ±10%, 50 Hz ±3, 10A, single phase - 110 VAC ±10%, 60 Hz ±3 on request.